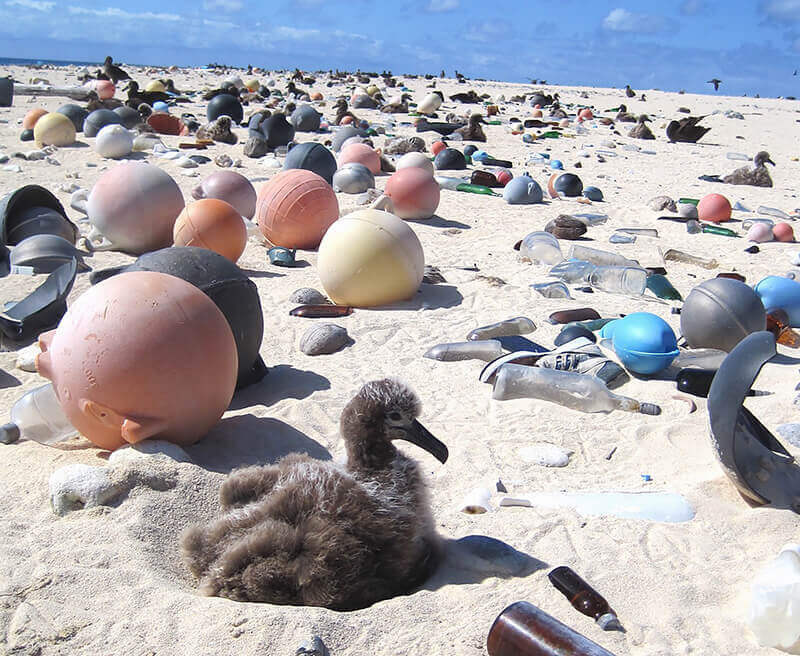 An albatross chick sits along a white sand beach at the Midway Atoll Wildlife Refuge amid plastic that covers the area even though it is not inhabited by humans. It is evidence of a global plastic problem. 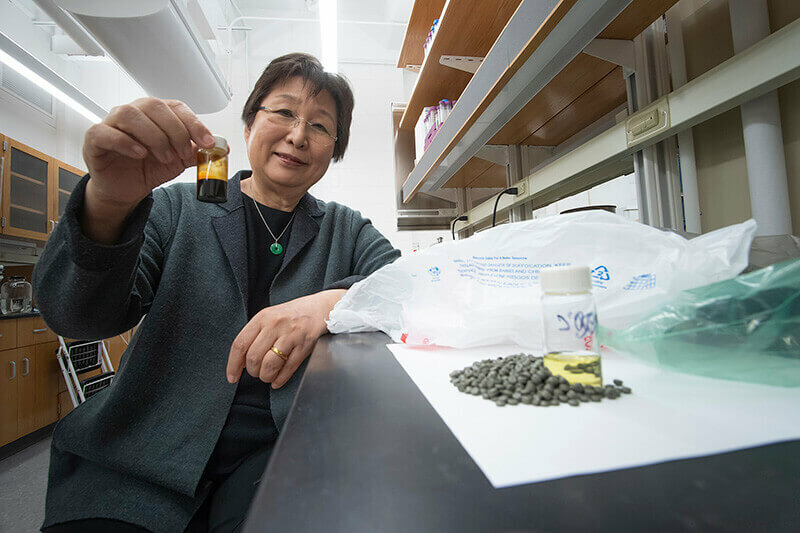 A new chemical conversion process developed by Purdue University researchers could transform the world’s polyolefin waste, a form of plastic, into useful products, such as clean fuels and other items. 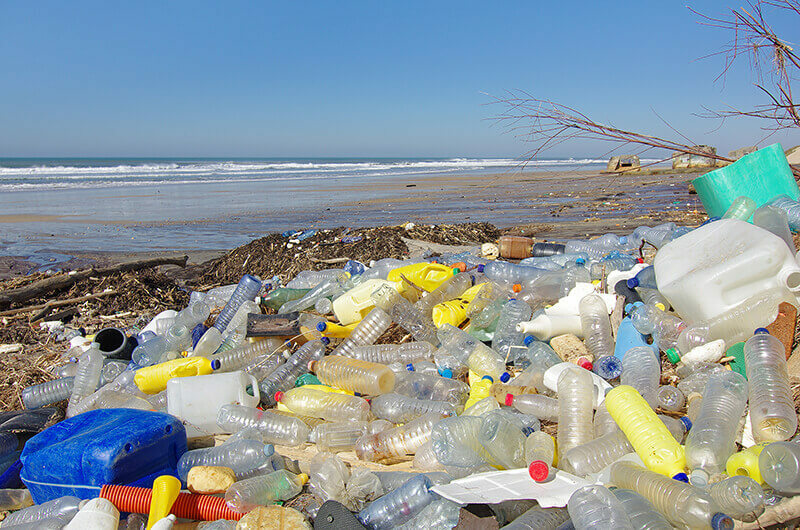 Water bottles, gallon jugs and other plastic debris washed ashore along a beach. Purdue University researchers have created a chemical conversion process that could allow polyolefin waste into useful products, such as clean fuels and other items. Polyolefin is a type of plastic. Citation: Use of Supercritical Water for the Liquefaction of Polypropylene into Oil.